As an opening activity, participants were invited to share a response to the question, "If you had a magic wand, and could solve the Library's recruitment challenges, what would that look like?" Below are notes taken from the roundtable responses. Responses from January 23rd session. responses from february 7th session. Download handout Strategies for Disrupting Bias in Recruitment. How to look for values-alignment, but remain open to difference. In this portion of the training I covered different ways of talking about diversity and shared a framework around three different kinds of diversity: legacy diversity, acquired diversity and thought diversity. 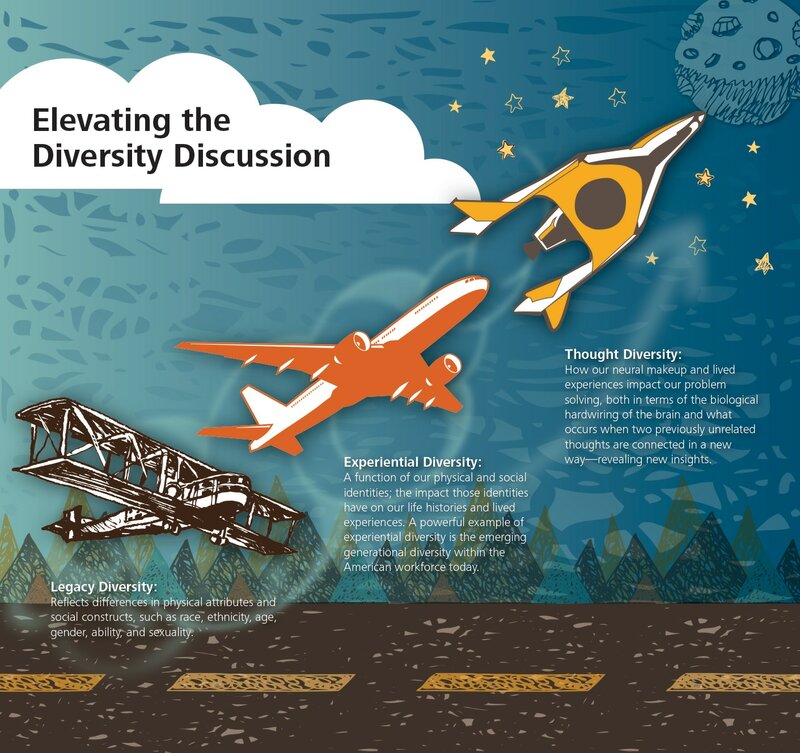 This framework and the corresponding image below are from a 2013 Deloitte Insights article, Diversity's new frontier Diversity of thought and the future of the workforce. Above: mapping of recruitment pathway for both sessions combined. This will be converted into a spreadsheet. University of Delaware (2017) - Download PDF; see pp 45-46. University of Lethbridge (2007) - Download PDF; see pp 19-25. Harvard (2016) - Download PDF; see pp 22. Have a burning question or concern? Share it in advance. Anonymous questions are welcome.